Hello my dears, we all know that 2019 is a year of pig and we continue finding and sharing with you thematic patterns for upcoming holidays. 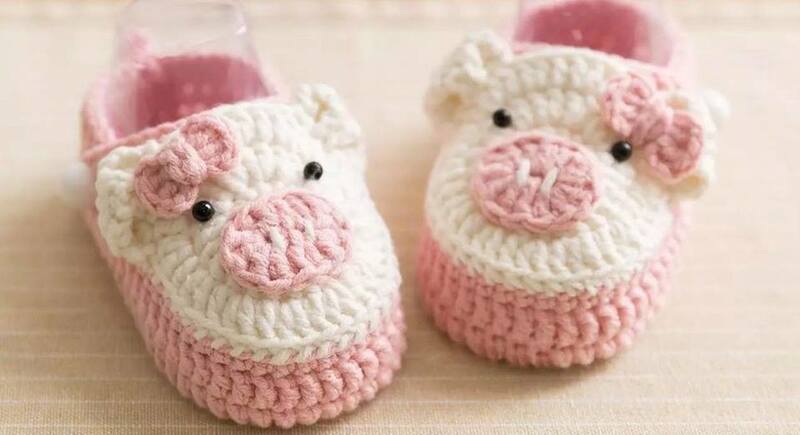 At this time we have found amazing piggy booties for your sweet children. Look at this booties, they are very nice, it is easy to crochet and you will surprise everybody around you because of its handmade. We think that you can not make gift better than this for upcoming Christmas and New year for children around you, also want to say it is very easy to crochet and it will take 1-2 hour of your work. I hope you will like this booties, you can also look around this blog and find many interesting ideas about crochet, wish you all the best!